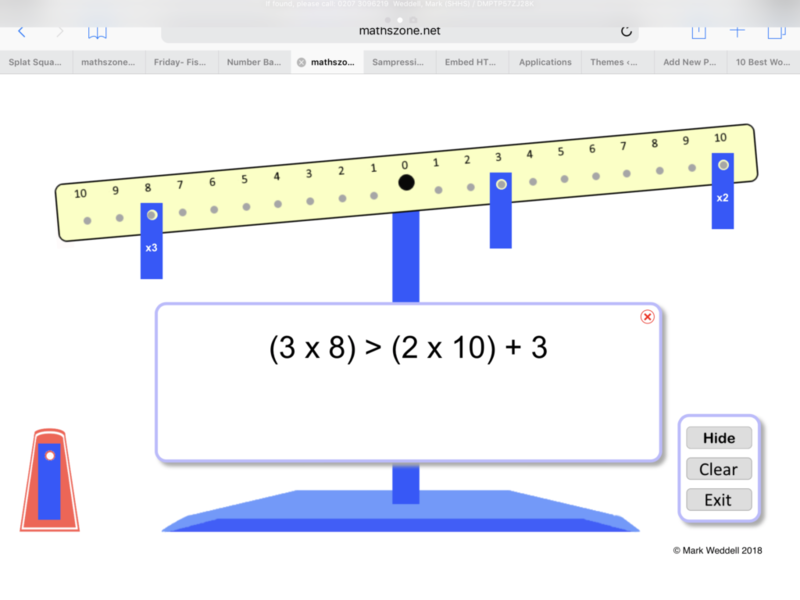 Explore equations and inequalities with this number balance math manipulative. Free Play allows the user to add multiple tags and explore addition and multiplication. Showing the equation introduces the idea of brackets even though they are not actually needed. Game Play gives children six levels of difficulty and asks children to add just one more tag to make the apparatus balance. 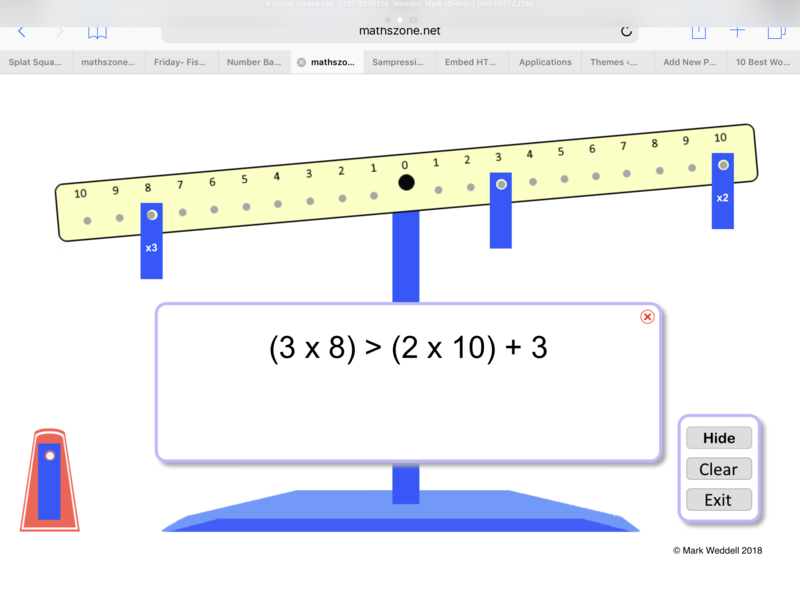 Going from number bonds to 10, finding missing numbers, up to complex multiplication questions up to 9×9, this app has something for everyone of primary age. 10 questions set for each level, and there are 5 points for getting it right first time, 2 points for two attempts and just 1 point for 3 attempts.